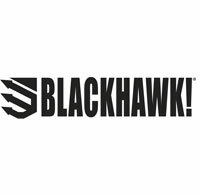 Vista Outdoor Media - BLACKHAWK! BLACKHAWK! is a leading US manufacturer of tactical, military, shooting sports and law enforcement equipment headquartered in Norfolk, Virginia. BLACKHAWK! was founded by a Navy SEAL and now manufactures tactical gear, body armor, law enforcement duty gear, holsters, hydration systems, protective gloves and gear, apparel and footwear, knives, illumination tools, breaching tools and recoil reducing stocks. BLACKHAWK! is part of Vista Outdoor, with US manufacturing facilities in North Carolina, Montana and Idaho. More information can be found at www.BLACKHAWK.com or by calling (800) 379-1732.